The Court of Cassation in Qatar issued an interesting judgment in June 2016 in relation to the enforcement of foreign Arbitral award in Qatar. The Court of Cassation confirmed two important rules related to the recognition and enforcement of a foreign arbitral award. The Court ruled that the award shall be recognized and enforced without any onerous conditions even if an annulment action is filed and pending before the Court at the country where the award was issued. An arbitral award was issued in Paris under the Rules of International Chamber of Commerce. The holder of the award (the “Awardee”) filed a case before the enforcement court in Qatar requesting the recognition and enforcement of the award. The other party filed an annulment case in Paris seeking an order to set aside the arbitral award. When the Awardee, as the Claimant, filed an application for enforcement of the arbitral award in Qatar, the other party as the Defendant, argued that the application must be dismissed because the copies of the arbitral award and the underlying arbitration agreement, as submitted by the Claimant, were not authenticated by the relevant authorities in France and Qatar and that submission of authenticated documents is a usual requirement when submitting document before Qatari courts. The Court of First Instance dismissed the application for recognition and enforcement of the arbitral award based on the abovementioned arguments presented by the Defendant. The Court of Appeal also upheld the judgment of the Court of First Instance. Against the order issued by the Court of Appeal, a further appeal was filed by the Claimant before the Court of Cassation on the grounds that recognition and enforcement of arbitral awards is subject to the Convention on the Recognition and Enforcement of Foreign Arbitral Awards (New York, 1958) (the “New York Convention”), to which France and Qatar are signatories. Accordingly, Clause 3 of the New York Convention should apply and no further conditions other than the ones stated in the New York Convention should be required. According to Article 4 of New York Convention, the documents required for the enforcement of foreign arbitral award are (i) the original award or a certified copy thereof and (ii) the original arbitration agreement or a certified copy thereof, both documents must be translated into Arabic by certified translator. The Court of Cassation ruled that there is a legal presumption in favor of the claimant that these documents are true and genuine insofar as they are meeting the forgoing conditions. However, this presumption is rebuttable by the Defendant who has the onus to prove otherwise. 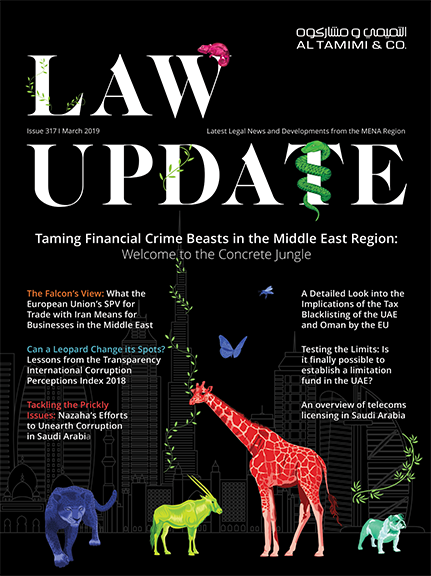 Filing an annulment case by the Defendant before the French court for setting aside the award, does not constitute a good reason to stay the enforcement process in Qatar. The Court of Cassation took into consideration the fact that the Claimant submitted a certificate issued by the General Secretariat of the International Court at the International Chamber of Commerce in Paris, confirming that the Arbitral Award being issued under ICC Rules is final and enforceable without any delay on the basis that both parties waived their right to appeal the subject decision. This judgment is a very important development as it constitutes a friendly approach adopted by the Qatari Court of Cassation toward the enforcement of foreign arbitration awards. The Court of Cassation applied the provisions of New York Convention in a very efficient manner. This approach will no doubt facilitate the recognition and enforcement process of the foreign arbitral awards in Qatar.